Leave your lunch bag at home and enjoy some homemade soup with your friends and family. 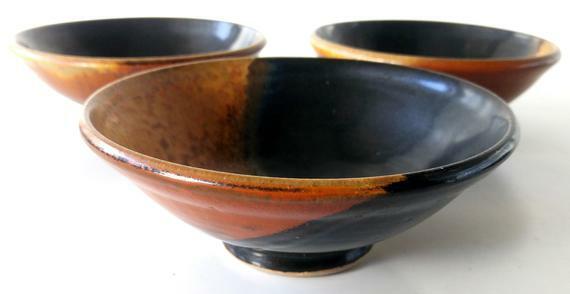 Hand-crafted bowls will be available for purchase; each bowl comes with your choice of homemade soup. Proceeds go to Aurora Food Pantry. Your postal carrier will drop off an empty brown paper bag for you to fill with food for our hungry neighbors. On May 11, place the bag full of non-perishables next to your mailbox and it will be picked up. Thank you, National Association of Letter Carriers, Branch 219, for once again helping to ensure that everyone has access to nourishing food! The River’s 13-hour Radiothon raises money for our food distribution program — especially for hungry kids during the months of June & July. We provide 40 pounds of extra food each week to families with school-aged children to ensure they have adequate nutrition when school lunches are not available. Don’t forget to tune into 95.9 on 6/21! Hit the links to end hunger for this annual event sponsored by the Fox Valley Marine Corps League, Detachment 1233 and benefiting the Aurora Food Pantry. For more information, please visit the Fox Valley Marines Facebook page. Join us under a Harvest Moon at our 9th Annual Benefit & Auction, an evening to celebrate fall. Enjoy delicious cuisine of the season with an open bar, as well as exciting auction items, entertainment and bourbon, whiskey, wine and food tastings. Our annual fundraiser is critical for providing healthy, wholesome food to the 20,000 people we serve each year.